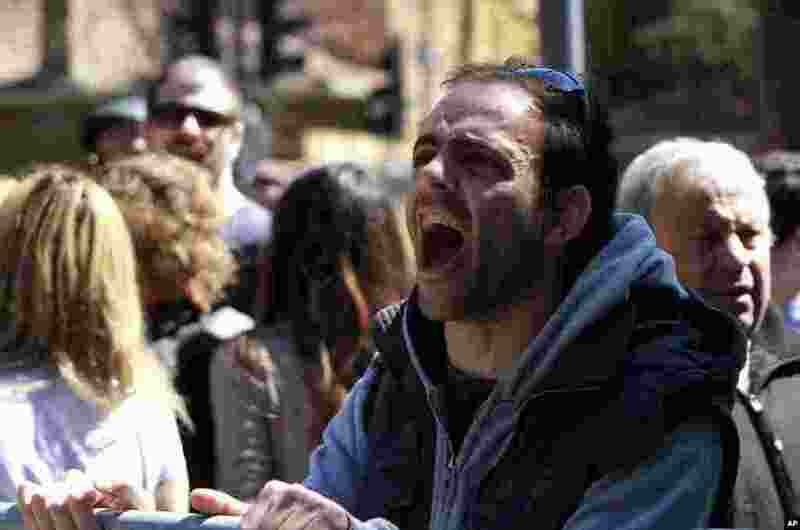 1 A protester shouts slogans outside of parliament during a meeting in Nicosia, Cyprus, March 18, 2013. 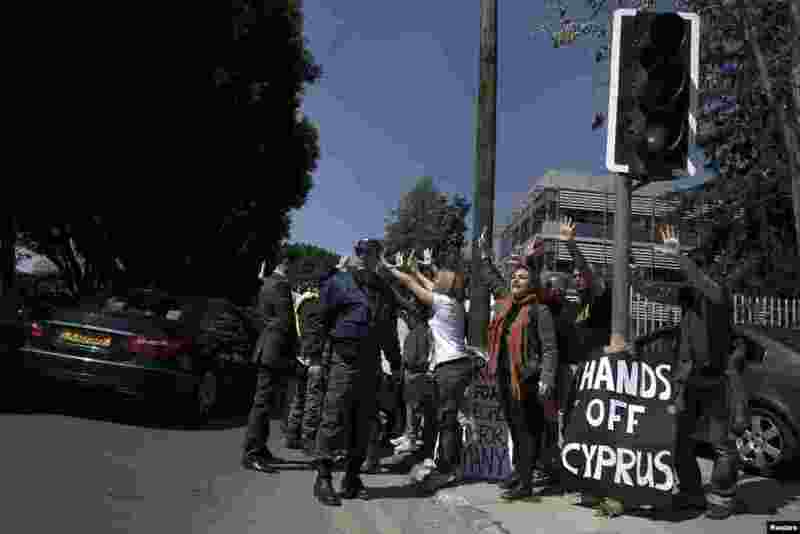 2 Demonstrators raise their arms in protest as Cypriot President Nicos Anastasiades's convoy drives to the parliament in Nicosia, Cyprus, March 18, 2013. 3 Cypriot President Nicos Anastasiades arrives at parliament in Nicosia, Cyprus, March 18, 2013. 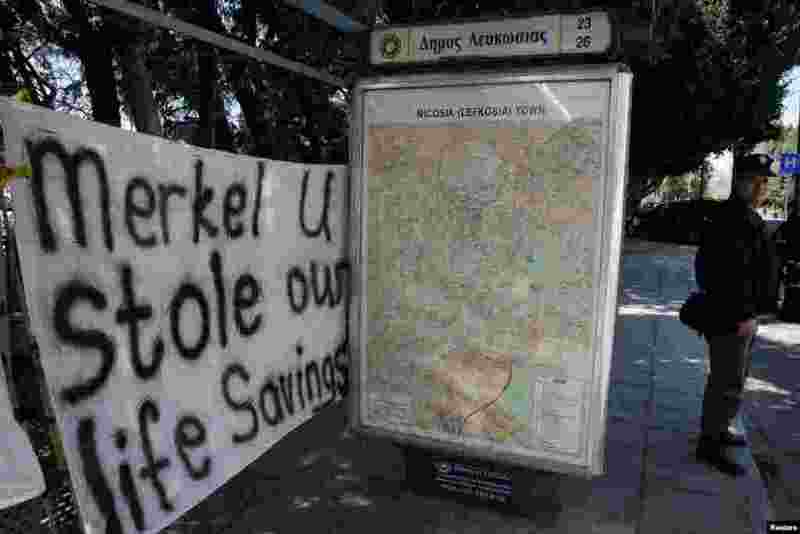 4 A police officer stands in front of a bus station where an anti-bailout banner is placed outside parliament in Nicosia, Cyprus, March 18, 2013.